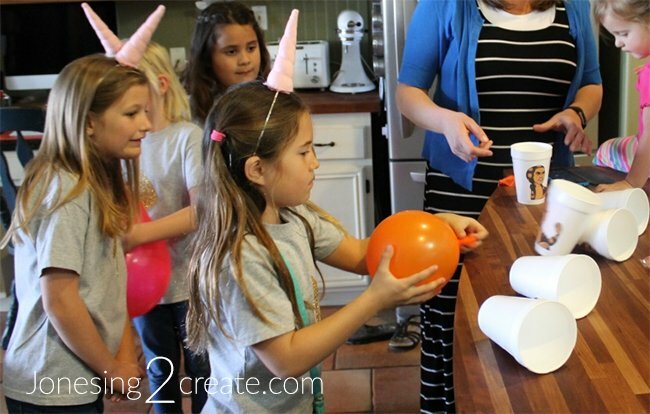 I was so excited to do a Rainbow Unicorn Birthday Party for Ladybug this year! We did a Frozen birthday party last year and although it was a lot of fun, I just couldn’t get into doing another princess party this year. But I love rainbows! 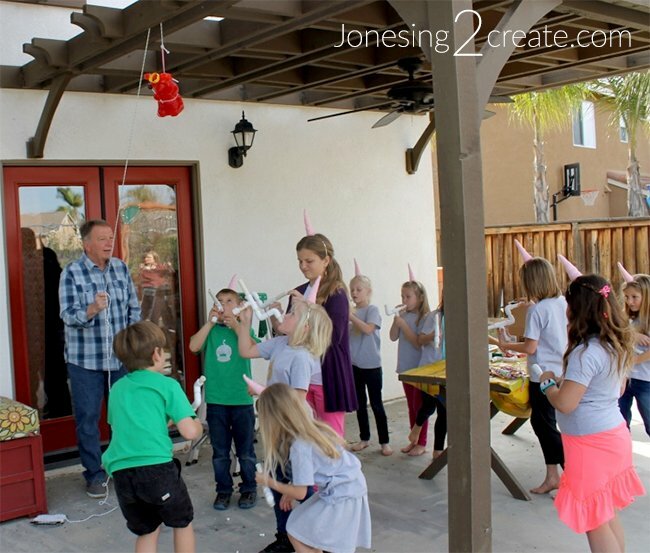 But this wasn’t just any rainbow unicorn birthday party, this was a Parry Gripp Space Unicorn birthday party! My kids are obsessed with Parry Gripp, a singer-songwriter who also makes up songs for video memes and makes his own random music videos on YouTube. The videos usually feature cute animals, absurd topics, and repetitive lyrics – and are hilariously irresistible to my kiddos. His song “Space Unicorn” is about a unicorn who travels through space delivering rainbows and features wonderful lines like “smiles and hugs forever all around the world” and “so true of aim with his marshmallow laser.” I got a kick out of the fact that we were planning a little girl’s unicorn birthday party around a song that pokes fun at the whole unicorn genre. 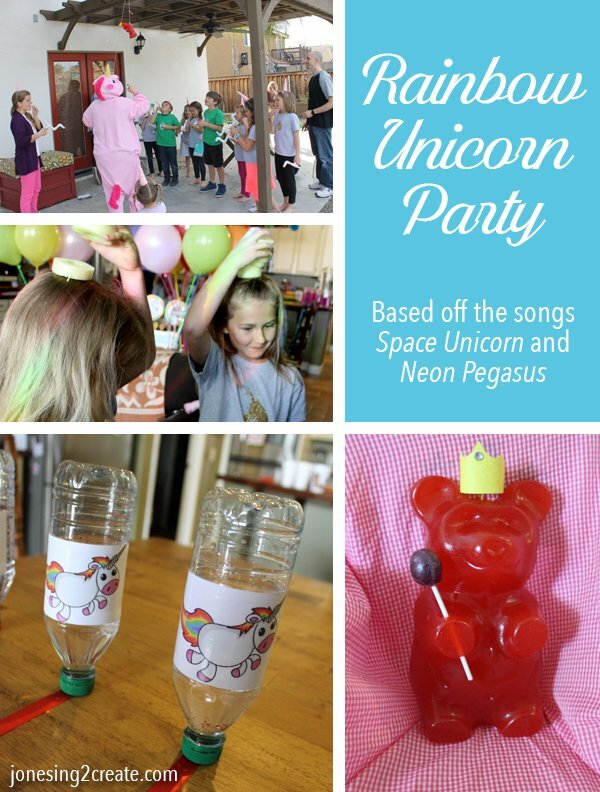 So if you are looking for tips and ideas on how to throw a “meta” rainbow unicorn party, you have come to the right place. 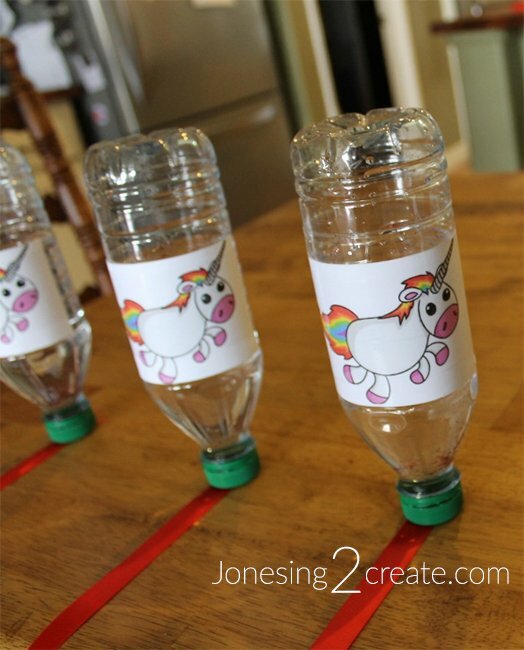 If not, I will be posting lots of other typical rainbow unicorn birthday party ideas too. But you should totally give the song a shot. 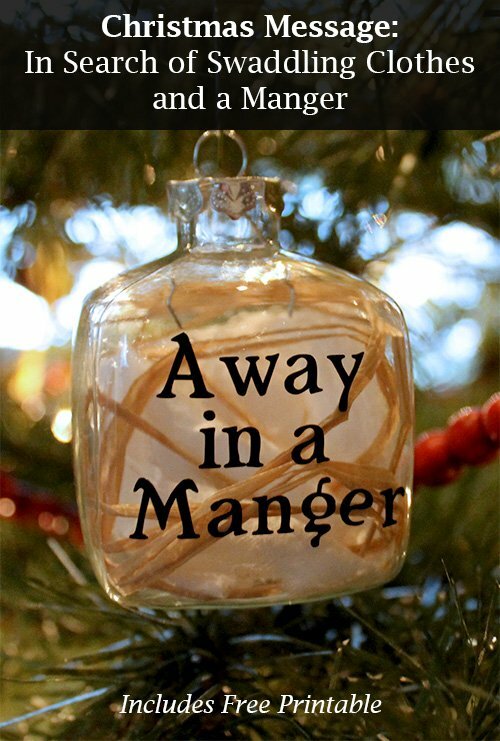 It is great and by the end of the party, everybody was singing it. Since we felt like the Space Unicorn needed some bad guys to fight at the party, we also pulled in the villains from Parry Gripp’s song Neon Pegasus. Before the party, to give the girls some context, I sent out a link to both songs in the invite. I also played them at the beginning of the party and later on. Even though they hadn’t seen the videos before, they all really got into it. Let’s be honest, Parry Gripp is like catnip for kids. And I love that my little Ladybug isn’t your cookie cutter princess type. 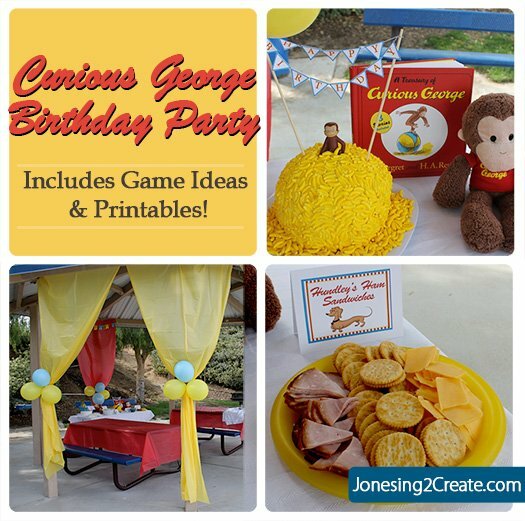 I had more fun with this party than any of her other parties, with maybe the exception of the Curious George birthday party. We structured the whole party around an epic quest to retrieve all the rainbows from the Gummy King (from the Neon Pegasus video). 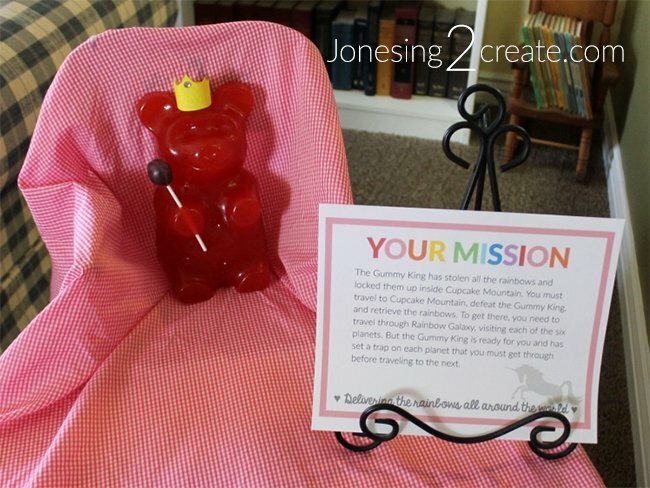 When the girls came in the door they were meet by the Gummy King sitting on his throne with a sign that spelled out their mission. My husband insisted that we needed an actual gummy bear and talked me into buying a 5 lb./12,000 calorie giant gummy bear! 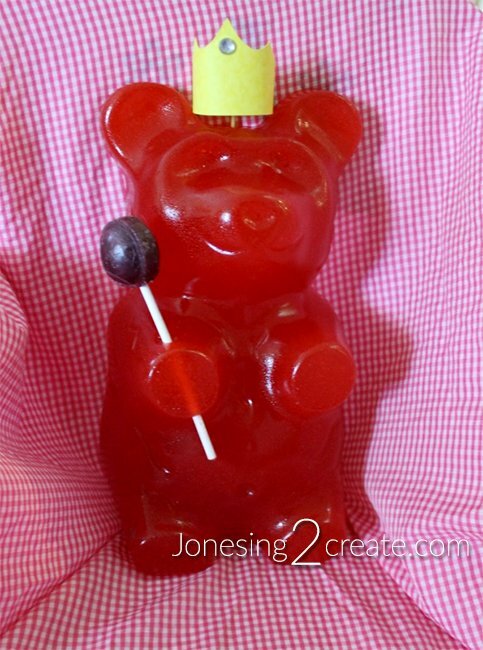 I made him a crown and gave him a Tootsie Roll scepter so that he would match the Gummy King in the video. He was an enormous hit! To the right of the Gummy King was the portal to the Rainbow Galaxy. 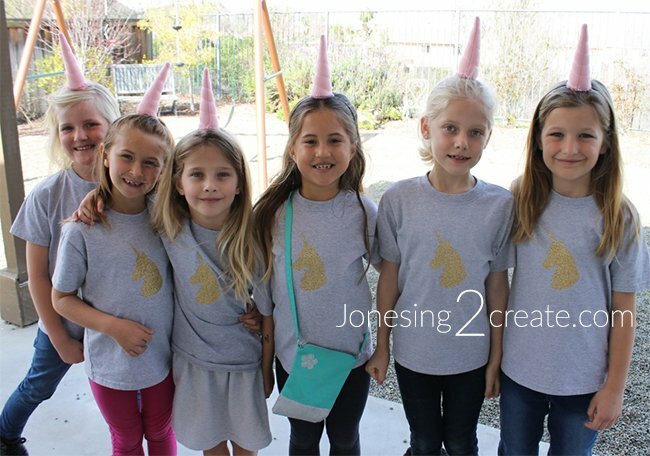 Before entering, the girls put on their unicorn t-shirts and horns, and watched the videos. On the front door, I placed a welcome sign with one of my favorite quotes from the song. In fact, like the dorky mom that I am, I always shout this out to my kids when I drop them off for school. Past the Rainbow Portal, I set up six “planets” for each of the colors of the rainbow. To make them sound cool, I used the Latin names for the colors. Each planet had a Minute To Win It type challenge that had to do with the color of the planet and the theme of the party. I had my family set up at each planet to help out. At this station, we played the Minute to Win It Octopus Challenge. For this challenge, I made it a little easier by only partly filling the water bottles so that they weren’t as top heavy. I also put some red glitter in the water and taped a unicorn to the outside. I had 8 red ribbons that I placed under each water bottle that the girls had to pull out without tipping the water bottle over. 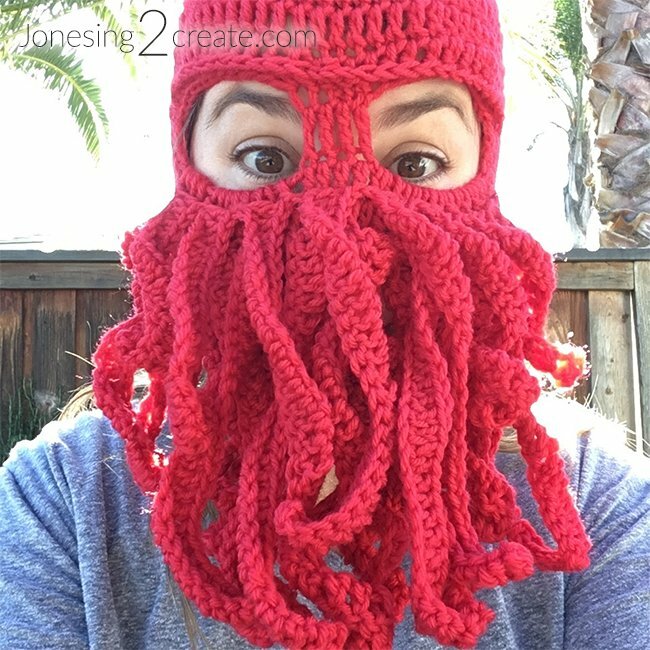 My dad was a good sport and wore an amazing red octopus ski mask while running this station. My boy thought it was the coolest thing ever! 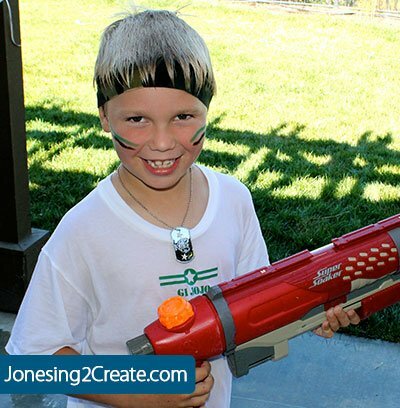 This challenge was modeled after the Minute to Win It This Blows challenge. For this one I had 6 foam cups that I taped a picture of the salamander on. This was easily the most random villain. 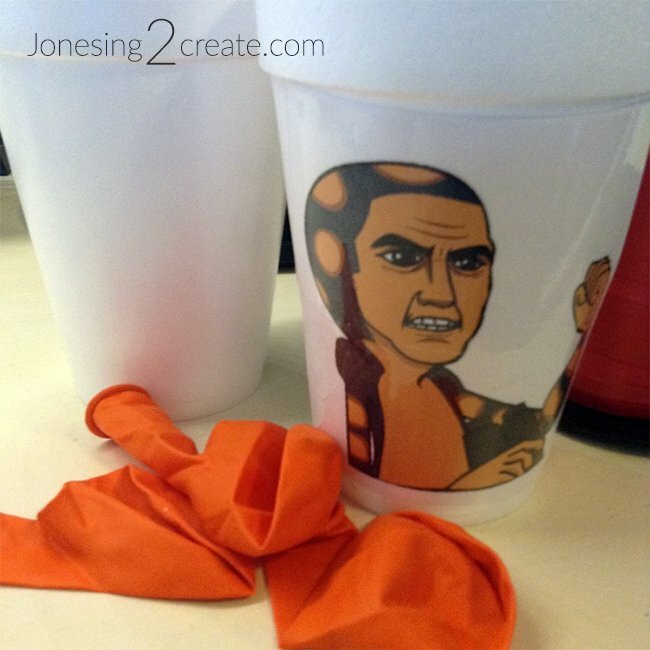 I also had a bag of orange balloons that the girls used to blow him over. This game got a little tricky though because it turns out that many of the girls didn’t know how to blow up a balloon. My poor sister almost hyperventilated blowing up the balloons for them! For this one I sliced a yellow pool noddle up into disks. The girls had to stack them on top of their heads to see how many they could balance up there. This challenge was modeled after the Minute to Win It “Magic Carpet Ride” challenge. 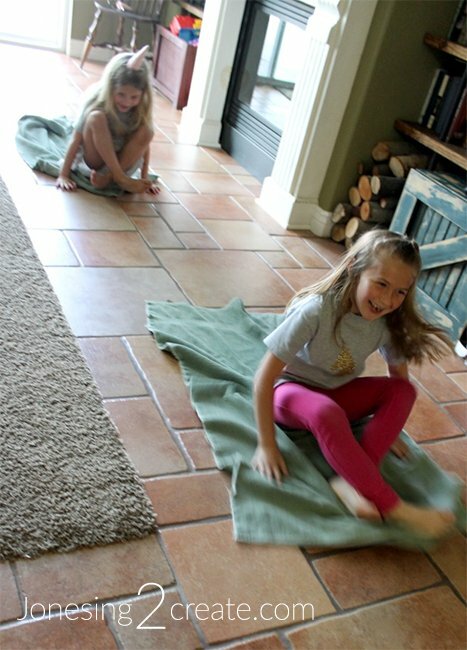 Instead of going through an obstacle course, the girls just raced each other while scooting around on green towels. 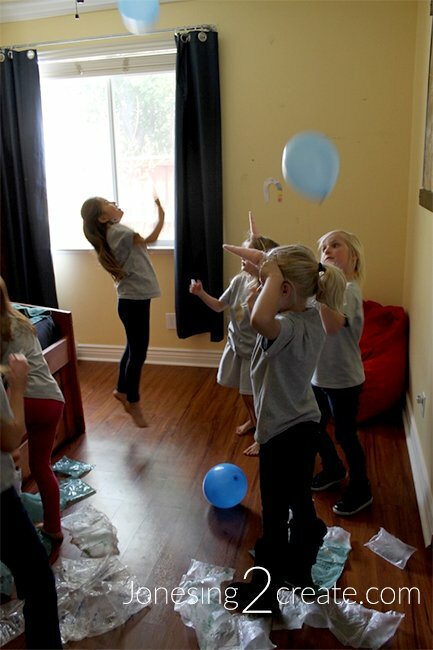 For this challenge, the girls had to keep five balloons up in the air while also trying to pop as many packing pillows as they could. I had been saving them up for a couple of months from all my Amazon purchases, so I had a ton. 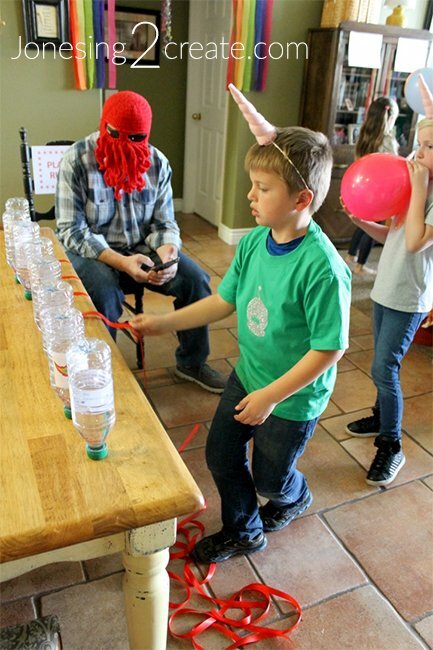 Kids love balloons and noise, so this challenge was a lot of fun. This was one of the favorites. 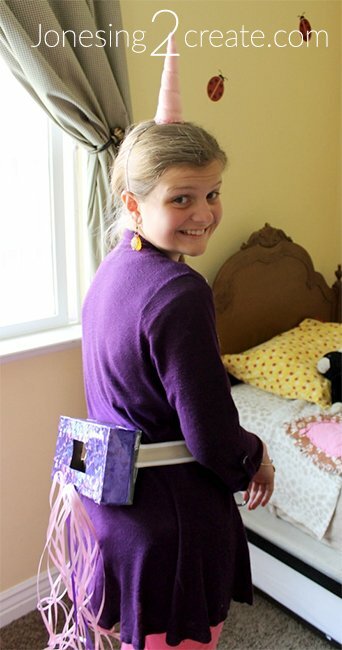 It was based off the Minute to Win It challenge “Junk in the Trunk.” Since it was the on the purple planet, I covered the tissue boxes in purple sparkly duct tape and then made a unicorn tail coming off them. That way the girls had to swish their tails to get the balls out. The girls thought this was as riot! Once the girls had traveled through Rainbow Galaxy, it was time for the Battle of Cupcake Mountain. 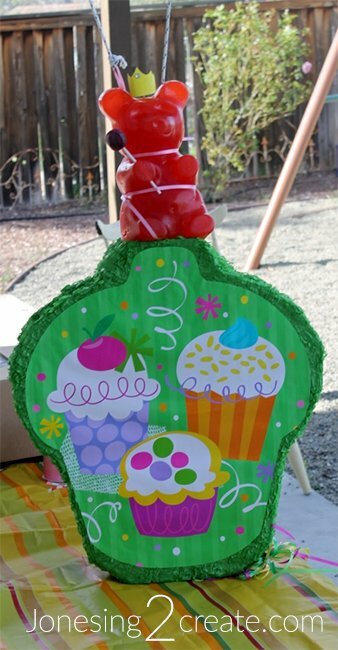 Outside, we put up a cupcake pinata and filled it with rainbow-colored candies. My husband, also rigged up the Gummy King to be sitting on top of Cupcake Mountain, so when the girls came out, he was ready to meet them. 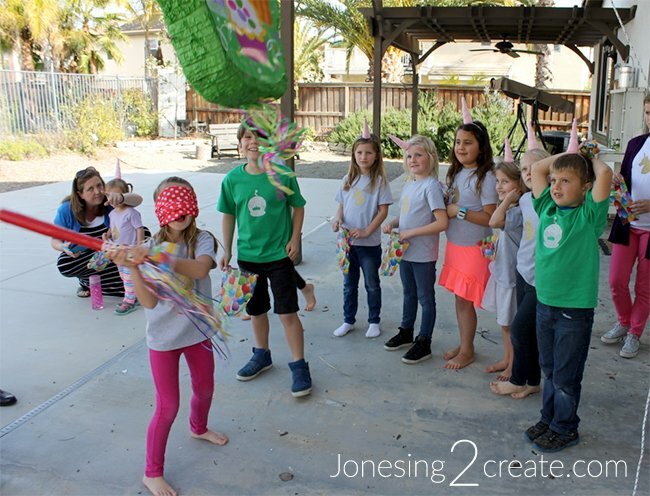 The Gummy King was tied to a separate string, so he “flew” off the mountain and looked on ominously, while the girls took turns going after the pinata with a bat. 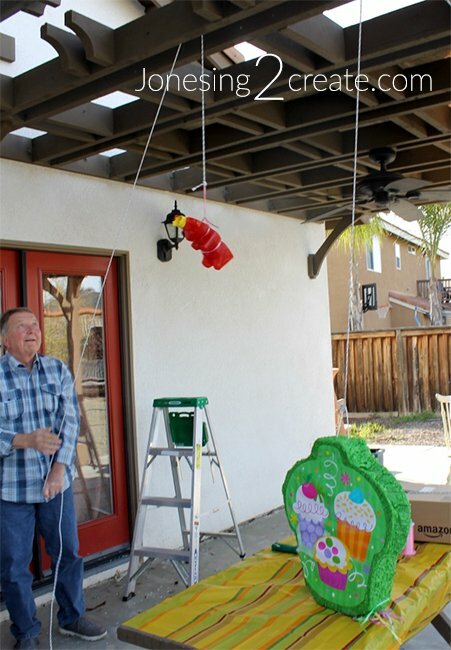 Once the pinata had been defeated and the rainbows released, the Gummy King came down for the final battle. 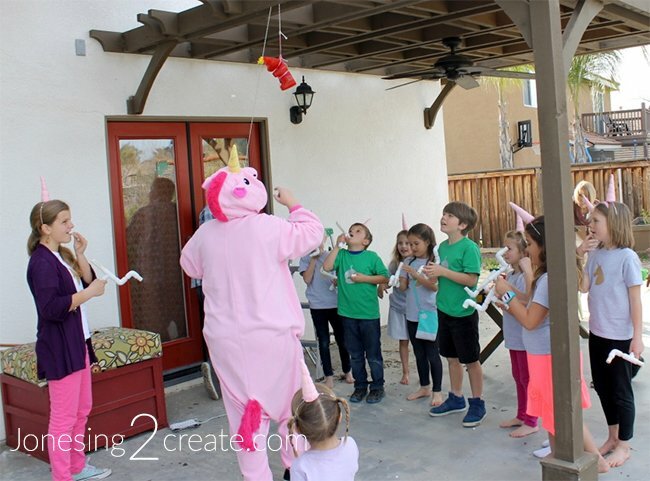 Since the Space Unicorn has a marshmallow laser, we armed the girls with PVC marshmallow shooters and mini marshmallows. They all got to shoot at the Gummy King as he flew overhead, but it was evident that they were no match for him. That is when the Space Unicorn himself (yours truly dressed as a unicorn) came running out to help. Together, we fought and defeated the Gummy King while the girls all cheered. My Ladybug’s face was priceless when I came running out. She is never going to forget this party. 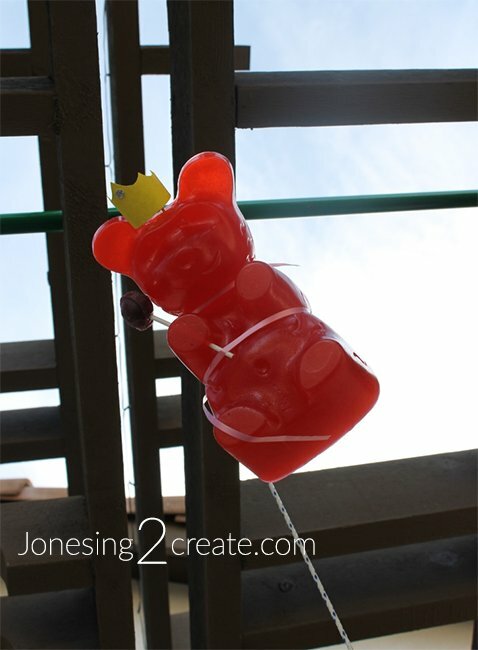 After the battle, we cut up the Gummy King and all the girls had fun eating him, because there was no way I was keeping a 12,000 calorie gummy bear hanging around the house. The whole thing was beyond epic and so easy to plan. At this age, it is so much fun to actually tell a story with a party instead of just having random games. And the Minute to Win It games are so simple to pull together. 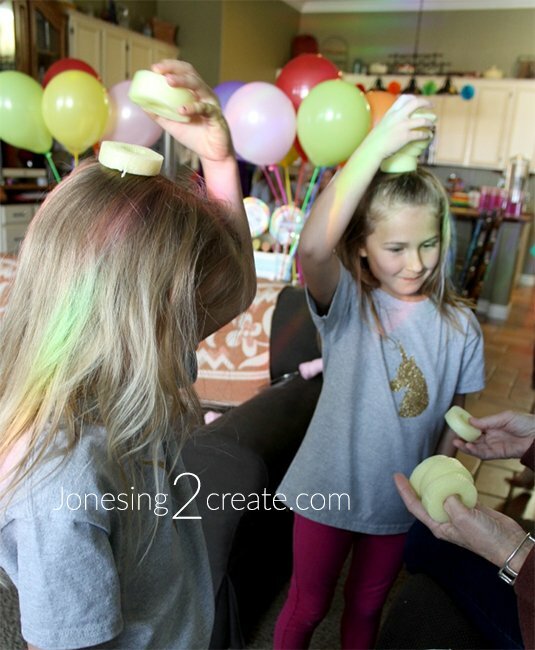 Besides the Minute to Win It games, I had a few other fun rainbow games for the girls. I ended up planning so much, we ran out of time to do some of them. 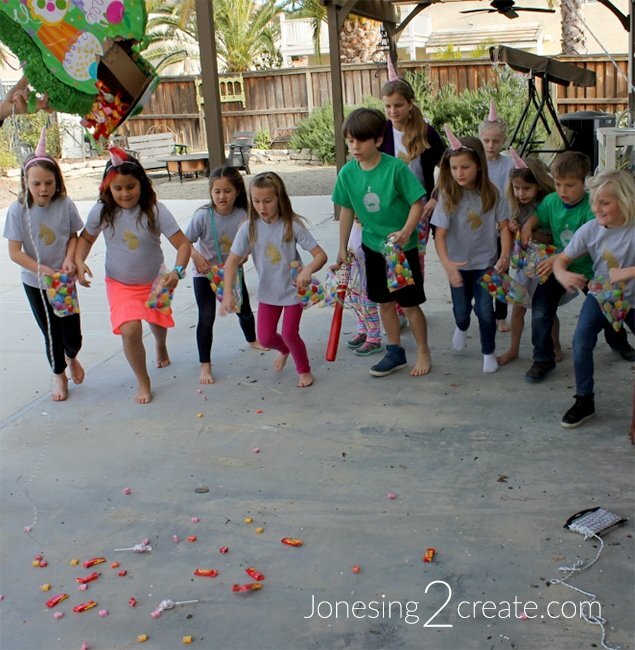 If you are looking for more typical rainbow game ideas, you will want to check out this post on Rainbow Unicorn Party Game Ideas. I don’t do much food at kid parties. 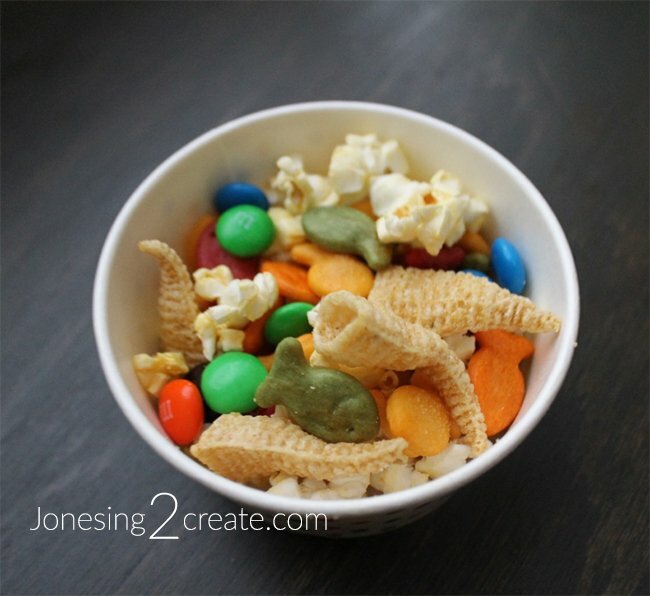 At most parties, the kids are having too much fun to eat and most of the food goes untouched. Food is one of the most time-consuming and expensive parts of a party and I got sick of throwing away plates of half-eaten food. 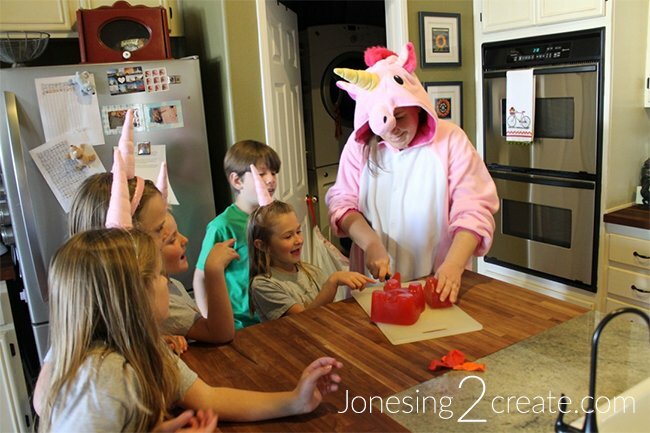 So for this party, I only did the cake and a “Rainbow Unicorn Snack Mix.” It was just the right amount of food and we even had snack mix leftover. 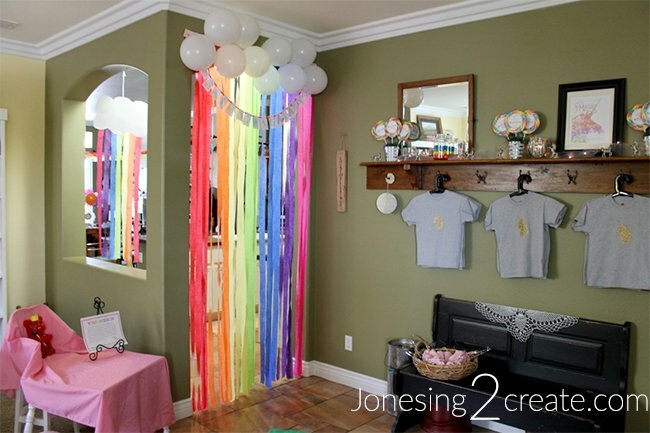 This party was so much fun to decorate for. 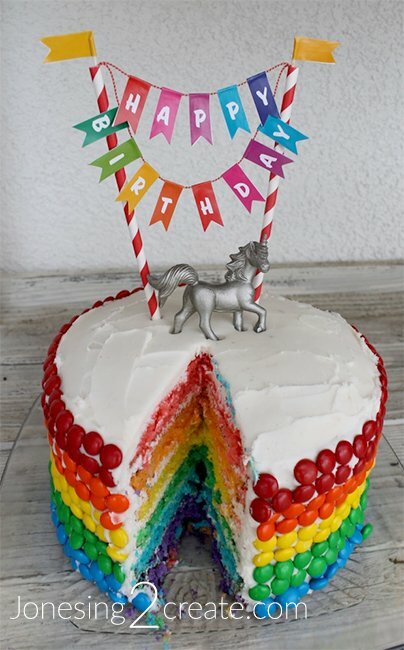 There are so many things you can do with rainbows! 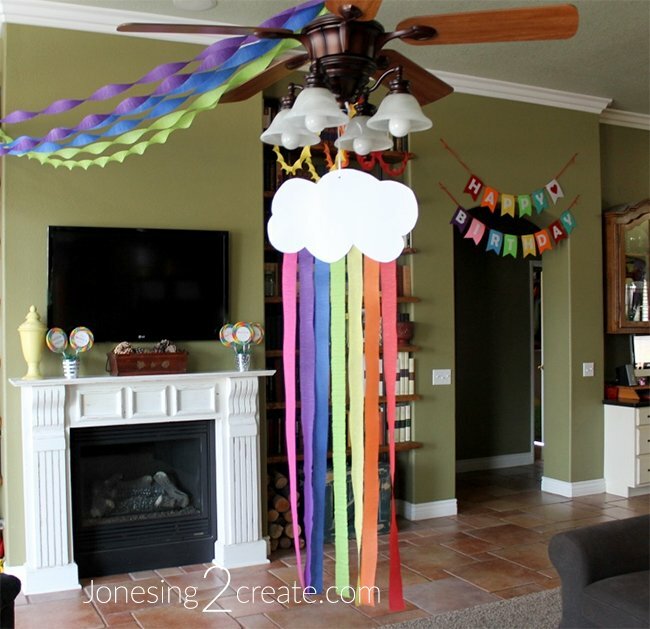 I didn’t have room to fit them all in this post, so I posted all my rainbow unicorn decoration ideas in a separate post. I AM DYING! 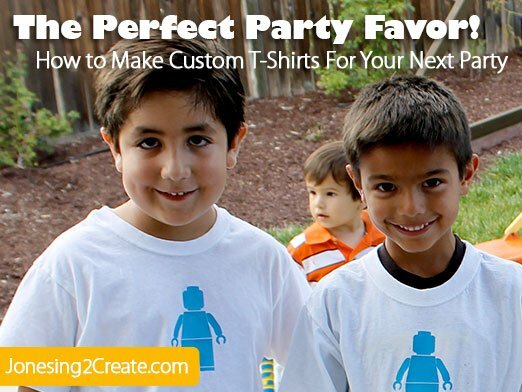 This is seriously the best party I’ve ever seen – all of your parties are! – and I’m going to steal it all for next weekend if you don’t mind! SO MUCH FUN! 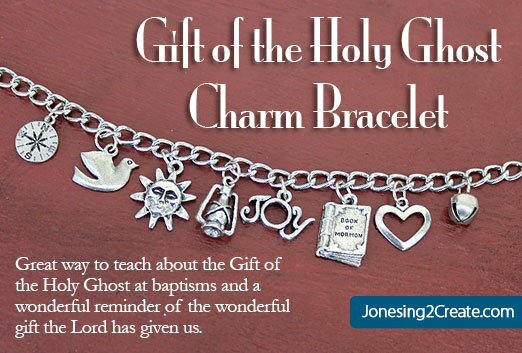 I would love the unicorn image (of course I will give you credit!) if you don’t mind because I’m going to take a page out of your book and do shirts. I totally don’t mind. Use whatever you need, that is why I share it here. 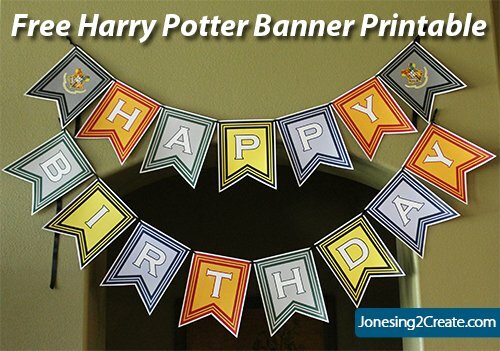 I have uploaded the Silhouette file to http://jonesing2create.com/rainbow-unicorn-party-favors/ so that you can just download it. We love that song too! This is sooooo amazing!! 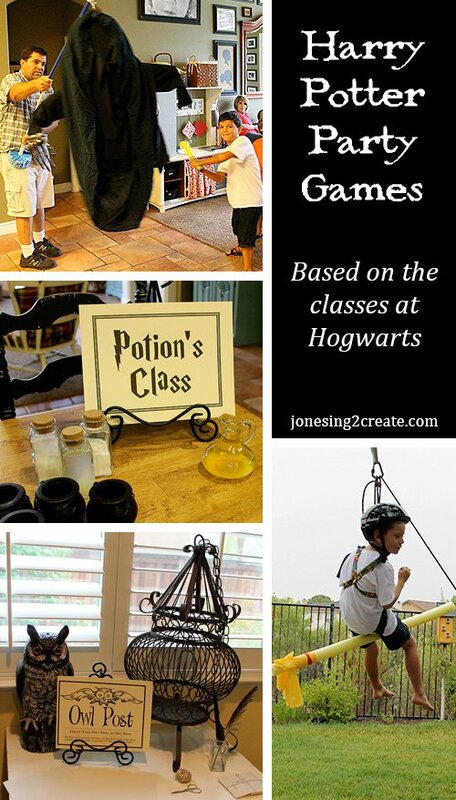 I love how you keep the party moving and make it fun and oh so creative at the same time. Did you give prizes for whoever wins each game? Thanks! Thanks! We didn’t do prizes because my kiddos already get waayyyy too competitive, but depending on your children’s temperaments, prizes would be a lot of fun! 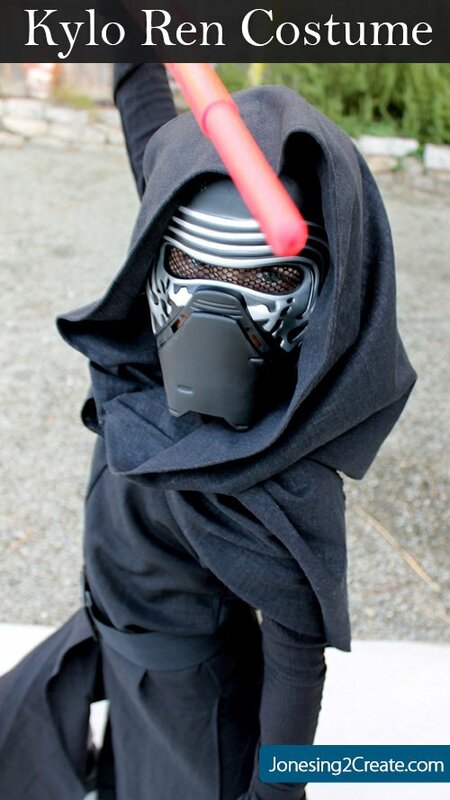 I LOVE your ideas and will be using the theme for my daughter’s b-day later this month!! I was struggling with finding the right blend for my tomboy who loves unicorns. 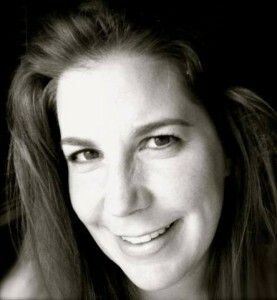 She wants a unicorn party, but I know she would not be happy with a fru-fru girly-girl kind of party. But shooting down a gummy king with marshmallow lasers? Right up her alley!! Thank you for sharing your practical brilliance with us!! It sounds like our daughters are kindred spirits! Best of luck with your party. I would love to see photos! Hi! 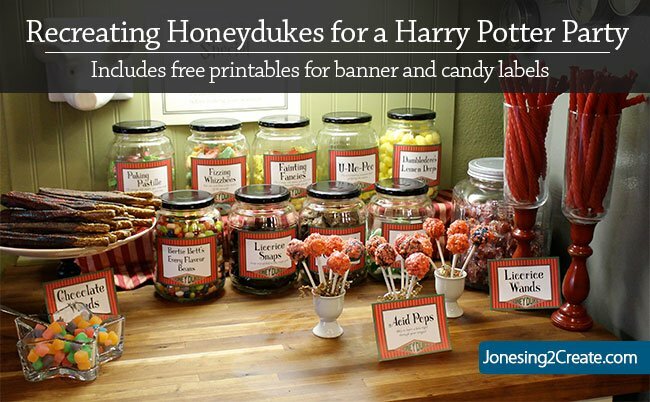 I can’t wait to do this for my eight-year-old daughter‘s birthday party. I downloaded all of the planets but I cannot find how to download George Clooney‘s face or the unicorn’s for the water bottle challenge. Please advise! Thanks! Hope you have fun! I would love to see photos!